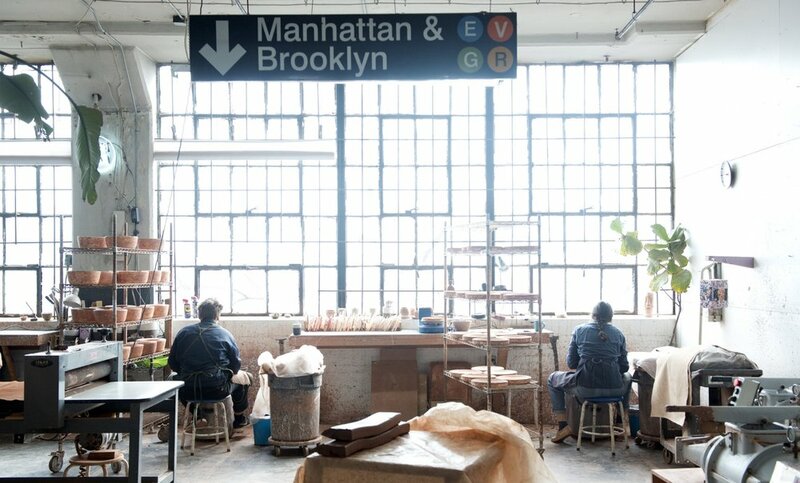 Our studio in Union City, NJ overlooks the Hudson River and Midtown Manhattan. 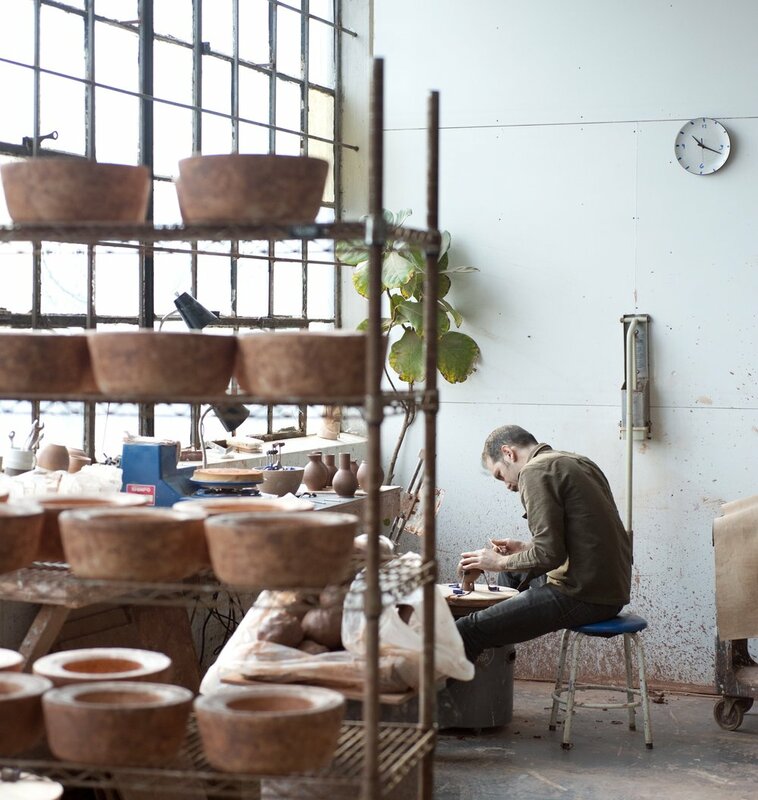 We have a team of seven artisans working collaboratively every day to make our dinnerware. There are more than 16 steps that go into our 100% handmade products, from rolling and forming to glazing and firing each piece. We operate with several potters wheels and six kilns, producing orders that range from 12 to 500 place settings of custom dinnerware. We open our doors to the public on the first Friday of every month. Come meet the team and add to your dinnerware collection. We typically have one-of-a-kind pieces, seconds, and overstock from custom restaurant jobs. Come through "Entrance A" past the loading dock, head to the right, and our studio door is up a few stairs. Call the studio if you have any trouble finding us: (201) 442-0172. When I started this company in 2004, I had a simple mission: to provide unique dinnerware options for the hospitality industry. 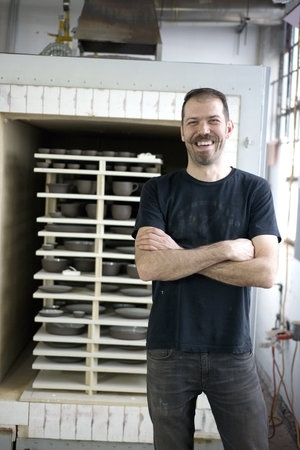 I started small, with one wheel and one kiln, collaborating with chefs, taking risks, and learning from my mistakes. Since then, my team has spent more than a decade testing clay bodies and glazes in an effort to provide our customers with the most durable product possible—wares that can handle the abuse of high-volume kitchens and commercial dishwashers, and stand the test of time. In our light-filled New Jersey studio, we form, fire, and ship much of our dinnerware to the world’s best restaurants. 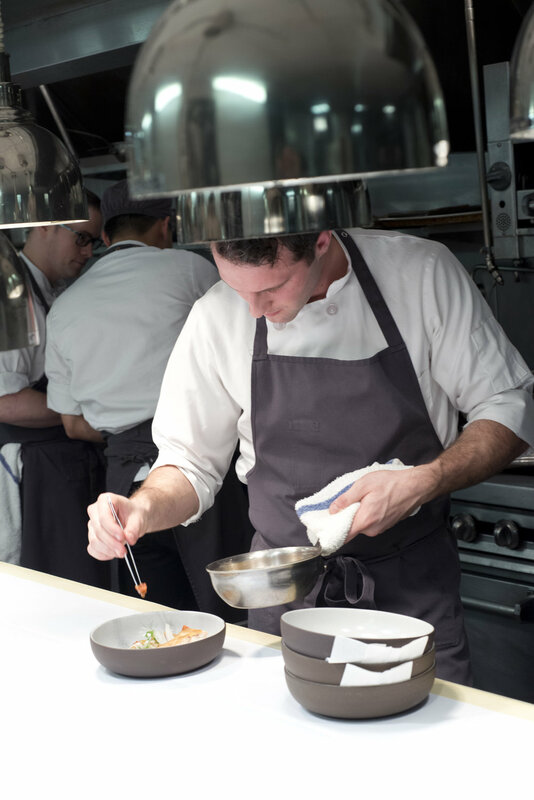 Our goal remains unchanged: to provide restaurateurs and serious home cooks with dinnerware that sets their restaurants and dining rooms apart from the rest. One of our strengths is our ability to work directly with our customers, responding quickly to their needs in ways that larger manufacturers cannot. Shoot us an email to let us know about your upcoming project. Let’s collaborate. Follow us on Instagram for updates on our newest products and restaurant collaborations. And don’t forget to tag us. We love seeing where our plates end up!